Don’t initiate whole breast radiotherapy as a part of breast conservation therapy in women with early stage invasive breast cancer without considering shorter treatment schedules. Whole breast radiotherapy decreases local recurrence and improves survival of women with invasive breast cancer treated with breast conservation therapy. Most studies have utilized “conventionally fractionated” schedules that deliver therapy over 5–6 weeks, often followed by 1–2 weeks of boost therapy. Recent studies, however, have demonstrated equivalent tumor control and cosmetic outcome in specific patient populations with shorter courses of therapy (approximately 4 weeks). Patients and their physicians should review these options to determine the most appropriate course of therapy. Patients with prostate cancer have a number of reasonable management options. These include surgery and radiation, as well as conservative monitoring without therapy in appropriate patients. Shared decision-making between the patient and the physician can lead to better alignment of patient goals with treatment and more efficient care delivery. ASTRO has published patient-directed written decision aids concerning prostate cancer and numerous other types of cancer. These types of instruments can give patients confidence about their choices, improving compliance with therapy. Studies suggest equivalent pain relief following 30 Gy in 10 fractions, 20 Gy in 5 fractions, or a single 8 Gy fraction. A single treatment is more convenient but may be associated with a slightly higher rate of retreatment to the same site. Strong consideration should be given to a single 8 Gy fraction for patients with a limited prognosis or with transportation difficulties. Don’t routinely use intensity modulated radiotherapy (IMRT) to deliver whole breast radiotherapy as part of breast conservation therapy. Clinical trials have suggested lower rates of skin toxicity after using modern 3-D conformal techniques relative to older methods of 2-D planning. In these trials, the term “IMRT” has generally been applied to describe methods that are more accurately defined as field-in-field 3-D conformal radiotherapy. While IMRT may be of benefit in select cases where the anatomy is unusual, its routine use has not been demonstrated to provide significant clinical advantage. Don’t recommend radiation following hysterectomy for endometrial cancer patients with low-risk disease. Patients with low-risk endometrial cancer including no residual disease in hysterectomy despite positive biopsy, grade 1 or 2 with <50% myometrial invasion and no additional high risk features such as age >60, lymphovascular space invasion or cervical involvement have a very low risk of recurrence following surgery. Meta-analysis studies of radiation therapy for low-risk endometrial cancer demonstrate increased side effects with no benefit in overall survival compared with surgery alone. Don’t routinely offer radiation therapy for patients who have resected non-small-cell lung cancer (NSCLC) negative margins N0-1 disease. Patients with early stage NSCLC have several management options following surgery. These options include: observation, chemotherapy and radiotherapy. Two meta-analysis studies of post-operative radiotherapy in early NSCLC with node negative or N1 disease suggest increased side effects with no benefit for disease-free survival or overall survival compared to observation. Patients with positive margins following surgery may benefit from post-operative radiotherapy to improve local control regardless of status of their nodal disease. Don’t initiate non-curative radiation therapy without defining the goals of treatment with the patient and considering palliative care referral. Well-defined goals of therapy are associated with improved quality of life and better understanding on the part of patients and their caregivers. Palliative care can be delivered concurrently with anti-cancer therapies. Early palliative care intervention may improve patient outcomes, including survival. Don’t routinely recommend follow-up mammograms more often than annually for women who have had radiotherapy following breast conserving surgery. Studies indicate that annual mammograms are the appropriate frequency for surveillance of breast cancer patients who have had breast conserving surgery and radiation therapy with no clear advantage to shorter interval imaging. Patients should wait 6-12 months after the completion of radiation therapy to begin their annual mammogram surveillance. Suspicious findings on physical examination or surveillance imag ing might warrant a shorter interval between mammograms. Don’t routinely add adjuvant whole brain radiation therapy to stereotactic radiosurgery for limited brain metastases. Primary analyses of randomized studies have demonstrated no overall survival benefit from the addition of adjuvant whole brain radiation therapy (WBRT) to stereotactic radiosurgery (SRS) in the management of selected patients with good performance status and brain metastases from solid tumors. The addition of WBRT to SRS is associated with diminished cognitive function and worse patient-reported fatigue and quality of life. These results are consistent with the worsened self-reported cognitive function and diminished verbal skills observed in randomized studies of prophylactic cranial irradiation for small cell or non-small-cell lung cancer. Patients treated with radiosurgery for brain metastases can develop metastases elsewhere in the brain. Careful surveillance and the judicious use of salvage therapy at the time of brain relapse allow appropriate patients to enjoy the highest quality of life without a detriment in overall survival. Patients should discuss these options with their radiation oncologist. ASTRO is the premier radiation oncology society in the world, with more than 10,000 members who are physicians, nurses, biologists, physicists, radiation therapists, dosimetrists and other health care professionals that specialize in treating patients with radiation therapies. As the leading organization in radiation oncology, the Society is dedicated to improving patient care through professional education and training, support for clinical practice and health policy standards, advancement of science and research, and advocacy. To learn more about ASTRO, visit www.astro.org. 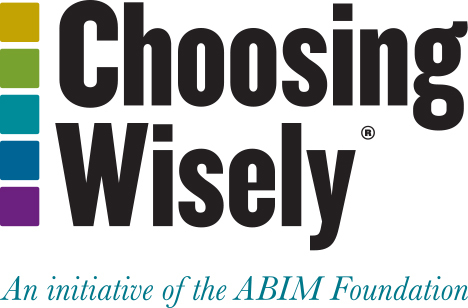 1–5: Following approval of the participation of the American Society for Radiation Oncology (ASTRO) in the Choosing Wisely campaign, a survey was sent to ASTRO committees and panels related to health policy, government relations, and clinical affairs and quality in order to identify potential items for inclusion in the list. A work group, comprised of seven physicians drawn from these three areas, was also selected and convened. The work group members were asked to pick their top eight items from the total of 34 topics that had been suggested in the initial survey. The results were tabulated and a list of the highest scoring items generated, creating a short list of 13 draft items. Three conference calls were subsequently held to further refine the list and finalize the wording of the items based on input from ASTRO’s Board of Directors. A literature review was conducted for each topic by ASTRO staff and each work group member took the lead on writing text and selecting references for one or more draft items. The final items for submission were selected by ASTRO’s Board of Directors. ASTRO’s disclosure and conflict of interest policy can be found at: www.astro.org. 6–10: In January 2014, the American Society for Radiation Oncology (ASTRO) formed a group to develop its second Choosing Wisely list, which included representatives from health policy, government relations, and clinical affairs and quality. The work group began by narrowing a list of 28 draft concepts to nine potential Choosing Wisely items. Next, an electronic anonymous survey was sent to the ASTRO membership to rate the value and relevancy of each of the items. The survey also included an open text box for members to comment on the suggested items and to provide additional ideas for Choosing Wisely items. Based on the survey results, the work group submitted a short list of eight items to the ASTRO Board of Directors, from which the Board chose five items to move forward. Literature reviews were conducted for the five Choosing Wisely items selected by the Board and the group drafted verbiage, bullet points and references for each item. Following a second review by the Board of Directors, one of the items was replaced with an alternate item from the short list. The final list received approval from the Board and was then submitted to the ABIM Foundation. ASTRO’s disclosure and conflict of interest policy can be found at: www.astro.org. Clarke M, Collins R, Darby S, Davies C, Elphinstone P, Evans E, Godwin J, Gray R, Hicks C, James S, MacKinnon E, McGale P, McHugh T, Peto R, Taylor C, Wang Y; Early Breast Cancer Trialists’ Collaborative Group (EBCTCG). Effects of radiotherapy and of differences in the extent of surgery for early breast cancer on local recurrence and 15-year survival: an overview of the randomized trials. Lancet. 2005 Dec 17;366(9503):2087–2106. Smith BD, Bellon JR, Blitzblau R, Freedman G, Haffty B, Hahn C, Halberg F, Hoffman K, Horst Kathleen, Moran J, Patton C, Perlmutter J, Warren L, Whelan T, Wright JL, Jagsi R. Radiation therapy for the whole breast: Executive summary of an American Society for Radiation Oncology (ASTRO) evidence-based guideline. Pract Radiat Oncol. 2018 May – Jun;8(3):145-152. Early Breast Cancer Trialists’ Collaborative Group (EBCTCG), Darby S, McGale P, Correa C, Taylor C, Arriagada R, Clarke M, Cutter D, Davies C, Ewertz M, Godwin J, Gray R, Pierce L, Whelan T, Wang Y, Peto R. Effect of radiotherapy after breast-conserving surgery on 10-year recurrence and 15-year breast cancer death: meta-analysis of individual patient data for 10,801 women in 17 randomised trials. Lancet. 2011 Nov 12;378(9804):1707–16. Haviland JS, Owen JR, Dewar JA, Agrawal RK, Barrett J, Barrett-Lee PJ, Dobbs HJ, Hopwood P, Lawton PA, Magee BJ, Mills J, Simmons S, Sydenham MA, Venables K, Bliss JM, Yarnold JR; START Trialists’ Group.The UK Standardisation of Breast Radiotherapy (START) trials of radiotherapy hypofractionation for treatment of early breast cancer: 10-year follow-up results of two randomised controlled trials. Lancet Oncol. 2013 Oct;14(11):1086-94. Dahabreh IJ, Chung M, Balk EM, Yu WW, Mathew P, Lau J, Ip S. Active surveillance in men with localized prostate cancer: a systematic review. Ann Intern Med. 2012 Apr 17;156(8):582–90. Wilt TJ, Brawer MK, Jones KM, Barry MJ, Aronson WJ, Fox S, Gingrich JR, Wei JT, Gilhooly P, Grob BM, Nsouli I, Iyer P, Cartagena R, Snider G, Roehrborn C, Sharifi R, Blank W, Pandya P, Andriole GL, Culkin D, Wheeler T; Prostate Cancer Intervention versus Observation Trial (PIVOT) Study Group. Radical prostatectomy versus observation for localized prostate cancer. N Engl J Med. 2012 Jul 19;367(3):203–13. Bill-Axelson A, Holmberg L, Ruutu M, Garmo H, Stark JR, Busch C, Nordling S, Häggman M, Andersson SO, Bratell S, Spångberg A, Palmgren J, Steineck G, Adami HO, Johansson JE; SPCG-4 Investigators. Radical prostatectomy versus watchful waiting in early prostate cancer. N Engl J Med. 2011 May 5;364(18):1708–17. Klotz L, Zhang L, Lam A, Nam R, Mamedov A, Loblaw A. Clinical results of long-term follow-up of a large, active surveillance cohort with localized prostate cancer. J Clin Oncol. 2010 Jan 1;28(1):126–31. Stacey D, Bennett CL, Barry MJ, Col NF, Eden KB, Holmes-Rovner M, Llewellyn-Thomas H, Lyddiatt A, Légaré F, Thomson R. Decision aids for people facing health treatment or screening decisions. Cochrane Database Syst Rev. 2011 Oct 5;10:CD001431. Hamdy FC, Donovan JL, Lane JA, Mason M, Metcalfe C, Holding P, Davis M, Peters TJ, Martin RM, Oxley J, Robinson M, Staffurth J, Walsh E, Bollina P, Catto J, Doble A, Doherty A, Gillatt D, Kockelbergh R, Kynaston H, Paul A, Powell P, Prescott S, Rosario DJ, Rowe E, Neal DE, ProtecT Study Group. 10-Year Outcomes after Monitoring, Surgery, or Radiotherapy for Localized Prostate Cancer. N Engl J Med. 2016 Oct 13;375(15):1415-1424. Donovan JL, Hamdy FC, Lane JA, Mason M, Metcalfe C, Walsh E, Blazeby JM, Peters TJ, Holding P, Bonnington S, Lennon T, Bradshaw L, Cooper D, Herbert P, Howson J, Jones A, Lyons N, Salter E, Thompson P, Tidball S, Blaikie J, Gray C, Bollina P, Catto J, Doble A, Doherty A, Gillatt D, Kockelbergh R, Kynaston H, Paul A, Powell P, Prescott S, Rosario DJ, Rowe E, Davis M, Turner EL, Martin RM, Neal DE, ProtecT Study Group. Patient-Reported Outcomes after Monitoring, Surgery, or Radiotherapy for Prostate Cancer. N Engl J Med. 2016 Oct 13; 375(15):1425-1437. Sanda MG, Chen RC, Crispino T, Freedland S, Greene K, Klotz LH, Makarov DV, Nelson JB, Reston J, Rodrigues G, Sandler HM, Taplin ME, Cadeddu JA. Clinically Localized Prostate Cancer: AUA/ASTRO/SUO Guideline. 2017. http://www.auanet.org/Documents/education/clinical-guidance/Clinically-Localized-Prostate-Cancer.pdf. Lutz S, Berk L, Chang E, Chow E, Hahn C, Hoskin P, Howell D, Konski A, Kachnic L, Lo S, Sahgal A, Silverman L, von Gunten C, Mendel E, Vassil A, Bruner DW, Hartsell W; American Society for Radiation Oncology (ASTRO). Palliative radiotherapy for bone metastases: an ASTRO evidence-based guideline. Int J Radiat Oncol Biol Phys. 2011 Mar 15;79(5):965–76. Expert Panel On Radiation Oncology-Bone Metastases, Lutz ST, Lo SS, Chang EL, Galanopoulos N, Howell DD, Kim EY, Konski AA, Pandit-Taskar ND, Ryu S, Silverman LN, Van Poznak C, Weber KL. ACR Appropriateness Criteria® non-spine bone metastases. J Palliat Med. 2012 May;15(5):521–26. Chow E, Zheng L, Salvo N, Dennis K, Tsao M, Lutz S. Update on the systematic review of palliative radiotherapy trials for bone metastases. Clin Oncol (R Coll Radiol). 2012 Mar;24(2):112–24. Lutz S, Balboni T, Jones J, Lo S, Petit J, Rich SE, Wong R, Hahn C. Palliative radiation therapy for bone metastases: Update of an ASTRO Evidence-Based Guideline. Pract Radiat Oncol. 2017 Jan-Feb;7(1):4-12. Mohler JL, Armstrong AJ, Bahnson RR, Boston B, Busby JE, D’Amico A, Eastham JA, Enke CA, George D, Horwitz EM, Huben RP, Kantoff P, Kawachi M, Kuettel M, Lange PH, Macvicar G, Plimack ER, Pow-Sang JM, Roach M 3rd, Rohren E, Roth BJ, Shrieve DC, Smith MR, Srinivas S, Twardowski P, Walsh PC. NCCN clinical practice guidelines in oncology: prostate cancer. J Natl Compr Canc Netw. 2010 Feb;8(2):162–200. Sheets NC, Goldin GH, Meyer AM, Wu Y, Chang Y, Stürmer T, Holmes JA, Reeve BB, Godley PA, Carpenter WR, Chen RC. Intensity-modulated radiation therapy, proton therapy, or conformal radiation therapy and morbidity and disease control in localized prostate cancer. JAMA. 2012 Apr 18;307(15):1611–20. Yu JB, Soulos PR, Herrin J, Cramer LD, Potosky AL, Roberts KB, Gross CP. Proton versus intensity-modulated radiotherapy for prostate cancer: patterns of care and early toxicity. J Natl Cancer Inst. 2013 Jan 2;105(1):25–32. Coen JJ, Zietman AL, Rossi CJ, Grocela JA, Efstathiou JA, Yan Y, Shipley WU. Comparison of high-dose proton radiotherapy and brachytherapy in localized prostate cancer: a case-matched analysis. Int J Radiat Oncol Biol Phys. 2012 Jan 1;82(1): e25–31. Barnett GC, Wilkinson JS, Moody AM, Wilson CB, Twyman N, Wishart GC, Burnet NG, Coles CE. Randomized controlled trial of forward-planned intensity modulated radiotherapy for early breast cancer: interim results at 2 years. Int J Radiat Oncol Biol Phys. 2012 Feb 1;82(2):715–23. Donovan E, Bleakley N, Denholm E, Evans P, Gothard L, Hanson J, Peckitt C, Reise S, Ross G, Sharp G, Symonds-Tayler R, Tait D, Yarnold J; Breast Technology Group. Randomised trial of standard 2-D radiotherapy (RT) versus intensity modulated radiotherapy (IMRT) in patients prescribed breast radiotherapy. Radiother Oncol. 2007 Mar;82(3):254–64. Pignol JP, Olivotto I, Rakovitch E, Gardner S, Sixel K, Beckham W, Vu TT, Truong P, Ackerman I, Paszat L. A multicenter randomized trial of breast intensity-modulated radiation therapy to reduce acute radiation dermatitis. J Clin Oncol. 2008 May 1;26(13): 2085–92. Diavolitsis V, Rademaker A, Lurain J, Hoekstra A, Strauss J, Small W Jr. Clinical outcomes in international federation of gynecology and obstetrics stage IA endometrial cancer with myometrial invasion treated with or without postoperative vaginal brachytherapy. Int J Radiat Oncol Biol Phys. 2012Oct 1;84(2):415–9. Johnson N, Cornes P. Survival and recurrent disease after postoperative radiotherapy for early endometrial cancer: systematic review and meta-analysis. BJOG. 2007 Nov;114(11):1313–20. Kong A, Johnson N, Kitchener HC, Lawrie TA. Adjuvant radiotherapy for stage I endometrial cancer: an updated Cochrane systematic review and meta-analysis. J Natl Cancer Inst. 2012 Nov 7;104(21):1625–34. Creutzberg CL, Nout RA. The role of radiotherapy in endometrial cancer: current evidence and trends. Curr Oncol Rep. 2011 Dec;13(6):472–8. Klopp A, Smith BD, Alektiar K, Cabrera A, Damato AL, et al. The role of postoperative radiation therapy for endometrial cancer: executive summary of an American Society for Radiation Oncology evidence-based guideline. Pract Radiat Oncol. 2014 May-Jun;4(3):137–44. Perry MC. A phase III study of surgical resection and paclitax el/carboplatin chemotherapy with or without adjuvant radiation therapy for resected stage III non-small-cell lung cancer: cancer and leukemia group B 9734. Clin Lung Cancer. 2007 Jan; 8(4):268–72. Trodella L. Adjuvant radiotherapy in non-small cell lung cancer with pathological stage I: definitive results of a phase III randomized trial. Radiother Oncol. 2002;62(1):11–9. Keller SM. A randomized trial of postoperative adjuvant therapy in patients with completely resected stage II or IIIa non-small -cell lung cancer. Eastern Cooperative Oncology Group. N Engl J Med. 2000;343:1217–22. Feng QF. A study of postoperative radiotherapy in patients with non-sm all-cell lung cancer: a randomized trial. Int J R adiat Oncol Biol Phys. 2000 Jul 1;47)4)925–9. Mayer R. Postoperative radiotherapy in radically resected non-small-cell lung cancer. Chest 1997;112:954–9. Rodrigues G, Choy H, Bradley J, Rosenzweig KE, Bogart J, Curran WJ Jr, Gore E, Langer C, Louie AV, Lutz S, Machtay M, Puri V, Werner-Wasik M, Videtic GM. Adjuvant radiation therapy in locally advanced non-small cell lung cancer: Executive summary of an American Society for Radiation Oncology (ASTRO) evidence-based clinical practice guideline. Pract Radiat Oncol. 2015 May-Jun;5(3):149-55.
WHO Deﬁnition of Palliative Care. World Health Organization. 2014 [cited on 2014 A ug 12]. Available from: http://www.who.int/cancer/palliative/definition/en/. Bakitas M, Lyons KD, Hegel MT. Effects of a palliative care intervention on clinical outcomes in patients with advanced cancer: the Project ENABLE II randomized controlled trial. JAMA. 2009;302:741–9. Higginson IJ, Evans CJ. What is the evidence that palliative care teams improve outcomes for cancer patients and their families? Cancer J. 2010;16:423–35. Temel JS, Greer JA, Muzikansky A. Early palliative care for patients with metastatic non-small-cell lung cancer. N Engl J Med. 2010;363:733–42. Smith T, Temin S, Alesi E. American Society of Clinical Oncology Provisional Clinical Opinion: the integration of palliative care into standard oncology care. J Clin Oncol. 2012;30:880–7. Khatcheressian JL. Breast cancer follow-up and management after primary treatment: an American Society of Clinical Oncology Clinical Practice Guideline Update. J Clin Oncol. 2013 Mar 1;31(7):961–5. Grunfeld E .Cancer practice guidelines for the care and treatment of breast cancer: follow-up after treatment for breast cancer (summary of the 2005 update). CMAJ. 2005 May 10;172(10):1319–20. Gradishar WJ. NCCN Clinical Practice Guidelines in Oncology. Breast Cancer. Version 3.2014. Rojas MP. Follow-up strategies for women treated with early breast canc er. Cochrane Database Syst Rev. 2005;1:CD001768. McNaul D, Darke M, Garg M, Dale P. An evaluation of post-lumpectomy recurrence rates: is follow-up every 6 months for 2 years needed? J Surg Oncol. 2013;107(6):597–601. Allen A, Cauthen A, Vaughan J, Dale P. The Clinical Utility and Cost of Postoperative Mammography Completed within One Year of Breast Conserving Therapy: Is It Worth It? Am Surg. 2017;83:871-874. Soffietti R, Kocher M, Abacioqlu UM, Villa S, Fauchon F, Baumert BG, Fariselli L, Tzuk-Shina T, Kortmann, RD, Carrie C, Ben Hassel M, Kouri M, Valeinis E, van den Berge D, Mueller RP, Tridello G,Collette L, Bottomley A. A European organisation for research and treatment of cancer phase III trial of adjuvant whole-brain radiotherapy versus observation in patients with one to three brain metastases from solid tumors after surgical resection or radiosurgery: quality-of-life results. J Clin Oncol. 2013 Jan 1;31(1):65–72. Chang EL, Wefel JS, Hess KR, Allen PK, Lang FF, Kornguth DG, Arbuckle RB, Swint JM, Shiu AS, Maor MH, Meyers CA. Neurocognition in patients with brain metastases treated with radiosurgery or radiosurgery plus whole-brain irradiation: a randomized controlled trial. Lancet. 2009 Nov;10(11):1036–44. Aoyama H, Shirato H, Tago M, Nakagawa K, Toyoda T, Hatano K, Kenjyo M, Oya N, Hirota S, Shioura H, Kunieda E, Inomata T, Hayakawa K, Katoh N, Kobashi G. Stereotectic radiosurgery plus whole-brain radiation therapy vs stereotactic radiosurgery alone for treatment of brain metastases: a randomized controlled trial. JAMA. 2006 Dec 7;295(21):2483–91. Kocher M, Soffietti R, Abacioglu U, Villà S, Fauchon F, Baumert BG, Fariselli L, Tzuk-Shina T, Kortmann RD, Carrie C, Ben Hassel M, Kouri M, Valeinis E, van den Berge D, Collette S, Collette L, Mueller RP. Adjuvant whole-brain radiotherapy versus observation after radiosurgery or surgical resection of one to three cerebal mestastases: results of the EORTC 22952–26001 study. J Clin Oncol. 2011 Jan 10;29(2):134–41. Gondi V, Paulus R, Bruner DW, Meyers CA, Gore EM, Wolfson A, Werner-Wasik M, Sun AY, Choy H, Movsas B. Decline in tested and self-reported cognitive functioning after prophylactic cranial irradiation for lung cancer: pooled secondary analysis of R adiation Therapy Oncology Group randomized trials 0212 and 0214 . Int J Radiat Oncol Biol Phys. 2013 Jul 15;86(4):656–64. Brown PD, Jaeckle K, Ballman KV, Farace E, Cerhan JH, Anderson SK, Carrero XW, Barker FG 2nd, Deming R, Burri SH, Menard C, Chung C, Stieber VW, Pollock BE, Galanis E, Buckner JC, Asher AL. Effect of Radiosurgery Alone vs Radiosurgery With Whole Brain Radiation Therapy on Cognitive Function in Patients With 1 to 3 Brain Metastases: A Randomized Clinical Trial. JAMA. 2016 Jul 26;316(4):401-409.